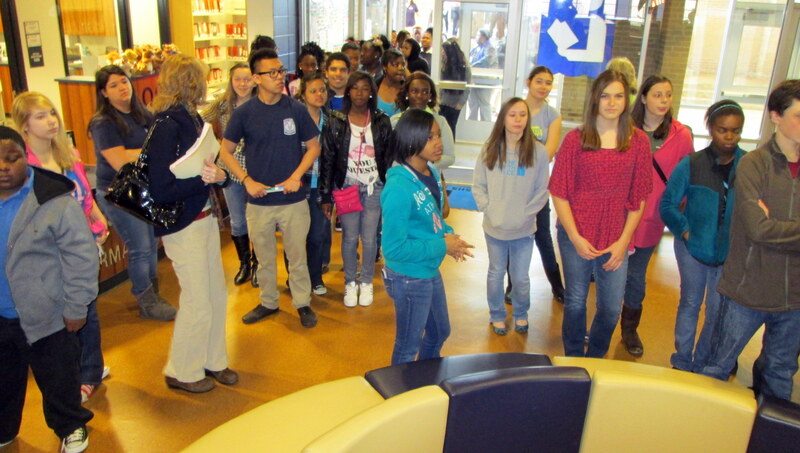 We were inundated with eight graders touring the school and the Loquacious Library. The students heard about our hours of operation and what they are allowed to check out. 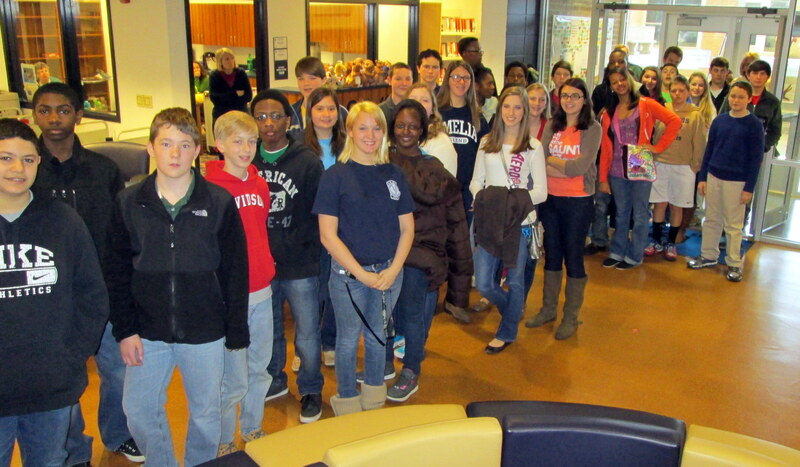 Below are a couple of pictures showing the groups that came in. Visit us on Facebook to see the rest of the photos.